ISPP is a not-for-profit IB continuum school. We are very careful who we invite to join the faculty at ISPP because we have spent the past several years growing and developing our staff. Teachers who join ISPP are switched on and very much into their own learning and professional development. The faculty is positive, collegial and professional -- they need to be because this is a very busy school which requires a very strong work ethic. We have high expectations of our faculty and everyone is accountable for our learning environment. For a variety of reasons, that will not be a good fit for everyone, so it is a really good idea to triangulate your information about ISPP when considering us as your next school. 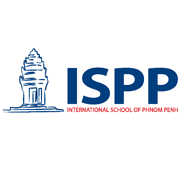 You can start at our website www.ispp.edu.kh and then try to find people who know us or know of us. Our 10-year re-accreditation/re-authorization reports from 2015 were very positive from CIS/WASC/IB. Description Step 0 = $36,300 p.a. to Step 19 = $59,100 p.a. ISPP offers competitive salaries (paid in US dollars, tax free) commensurate with experience and education. For initial placement, each step on the salary scale represents full years of relevant teaching experience. The maximum entry level is Step 9. After the initial year of teaching at ISPP, teachers advance one step annually on the salary scale. Description None. Salaries are net. Cambodian income tax paid by school. Description At least 50% depending on lifestyle. Description No allowance. However, most homes come with basic furnishings, and furniture is easy to buy and have made to specifications. Description BEGINNING OF CONTRACT: US$1500 settling in allowance. END OF CONTRACT: US$500 per contract year up to a maximum of US$2000 at the end of employment, paid against receipts. Description Free tuition for school-age dependents. Description Long Term Disability Insurance provided to full time teachers. Description VISAS & WORK PERMITS provided and costs paid for by the School for teacher and eligible dependents. LEAVE: Sick, Recruitment, Maternity, Paternity/Partner and Adoption, Emergency/Compassionate. PROFESSIONAL DEVELOPMENT (PD) Opportunities every two years, unless there is a need (i.e. IB new programme and/or introductory requirements) teachers may apply for PD events that are reimbursed up to $1,500.